Cannabis was once considered by many a dangerous gateway drug that could lead smokers to experiment with stronger drugs on the street. But could smoking weed actually be an effective tool to kick addiction? That’s the hypothesis at High Hopes, Canada’s first full-time cannabis harm reduction program. Based out of Vancouver’s East End, ground zero for the deadly opioid crisis, the clinic provides addicts with free or low-cost marijuana and cannabis-derived oils to help them stop using illicit drugs. The program has been effective, organizers say. 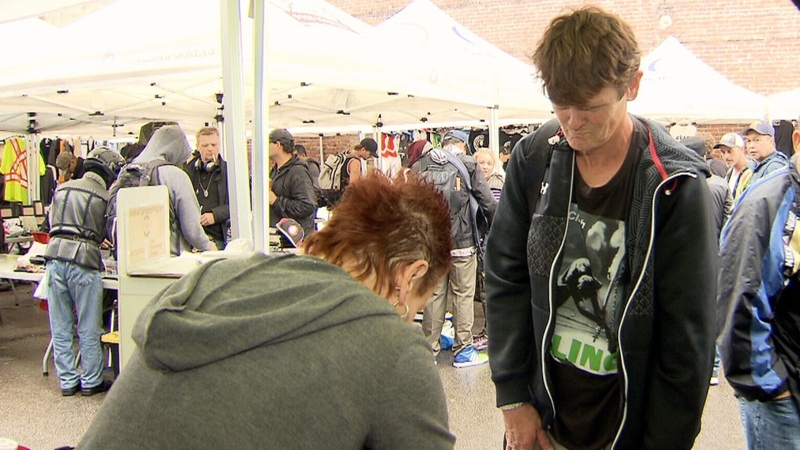 Of the 100 people registered in the program over the last year, up to 50 per cent are taking fewer street drugs, and 25 per cent are off opioids altogether. The success appears to support promising preliminary research out of the University of British Columbia that suggests daily cannabis use significantly lowers the risk of overdoses. Co-ordinator Sarah Blyth opened the clinic last year after consulting with drug users looking for help. “It gives them a way to have an alternative to the drugs that they’re getting on the street. It’s safe, it can reduce pain,” Blyth told CTV News. The program started by collecting cannabis donations from patients with licences from Health Canada. It has since accepted help from what Blyth calls the “grey market” – local dispensaries that are not yet legal. High Hopes also offers CBD oil, which does not contain marijuana’s psychoactive ingredient, THC, and is touted as an aid for anxiety, pain relief and inflammation. Last year, nearly 4,000 Canadians died of opioid overdoses. About 1,400 of those deaths, or about one in three, were in B.C. 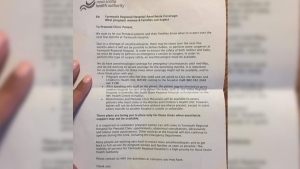 The province announced plans Wednesday to launch a class-action lawsuit that alleges 40 pharmaceutical companies falsely marketed opioids as less addictive than other painkillers. The clinic is operating well before cannabis becomes legal nationwide on Oct. 17. But Blyth said waiting wasn’t an option. Melanie Pratt credits marijuana with helping her detox. She turned to cannabis after nearly losing her arm when a needle broke while injecting crystal meth. She underwent treatment in hospital where she swore to quit illicit drugs. Pratt says smoking marijuana helped her eat, sleep and find peace. “If you’re not withdrawing or feeling any pain, then you feel good. And I just think it’s a lot less harmful than other drugs,” said Pratt, who volunteers at High Hopes. Dr. M-J Milloy, a UBC research scientist, has a soon-to-be-published study that found drug users who used cannabis once a day were significantly less likely to suffer an overdose. The research followed 1,461 participants, including HIV-positive illicit drugs users and street-involved youth. Researchers say the study is the first of its kind to observe the connection. But they warn that more studies are needed before making any firm conclusions. Regardless, the findings are promising, Milloy said. “So this seems to indicate cannabis might be almost a sort of ad hoc harm reduction strategy by people who are trying to control or change their use of other drugs,” Milloy said. Milloy and his research team are planning a clinical trial to further test their findings. A B.C. clinic is offering free and low-cost marijuana to drug users to help them quit addictions to illicit street drugs. So far, the clinic says, the approach has worked.